Brussels sprouts leaves are large, flat, and wide with an appearance similar to loose heading cabbage. The broad alternating leaves are deep green, crinkled, and have wavy edges, and there is a central, thin, white-green vein spreading throughout the leaf's surface. Brussels sprouts leaves are mild, similar to kale if harvested young, and are tender and sweet, void of the bitter cruciferous flavor that is found in the plant's sprouts. Brussels sprouts leaves are available late summer to fall. Brussels sprouts leaves, botanically classified as Brassica oleracea, belong to the Brassicaceae family along with mustard plants and cabbages. The leaves grow at the top of the cool-season, biennial plant stalk and were traditionally used as compost and mixed into the soil to provide nutrition for future crops. Brussels sprouts leaves have recently grown in popularity for culinary use and can be substituted in recipes that call for swiss chard, kale, or collard greens, require less cooking time and have a tender and sweeter flavor. Brussels sprouts leaves are a good source of vitamin A and vitamin C, and also contain some calcium and potassium. Brussels sprouts leaves can be used raw and in cooked applications such as stuffing, steaming, roasting, and sautéing. 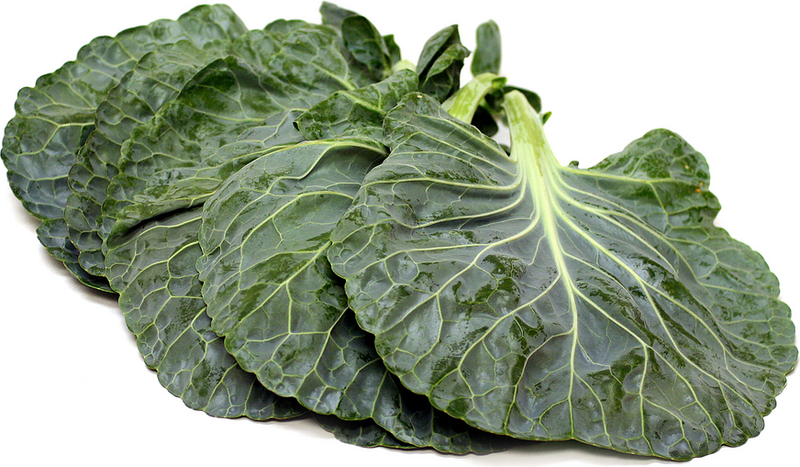 When raw, they can be sliced or chopped and added to salads and smoothies. Brussels sprouts leaves can also be used to make coleslaw, kimchi, added to fish tacos, roasted to make crispy chips, or steamed, stuffed, and rolled into a wrap. Brussels sprouts leaves pair well with bright citrus flavors, vinegar and vinaigrettes, sausages, bacon, pork belly and pork shoulder, grilled, smoked and fried white fish, apples, pears, cream, melting cheeses, pistachios, pine nuts, walnuts, almonds, peppers, and chiles. Brussels sprouts leaves will keep up to four days when stored unwashed, in a plastic bag, and in the crisper drawer of the refrigerator. In 2008, Heinz conducted a study in the United States to discover the most hated vegetable in America and Brussels sprouts were the clear winner. Brussels sprouts were slow to become popular in the United States because of the lack of creative cooking methods. They were traditionally boiled which can create an unappetizing, sulfur-like smell, but as well-known chefs such as Julia Child, Mario Batali, and David Chang began creating new variations of Brussels sprouts combining fried and roasted flavors with bacon, butter, and cream, Brussels sprouts became increasingly popular. In 2018, Brussels sprouts are a mainstream vegetable dish on many menus across the United States and have been incorporated as appetizers, side dishes, and even on pizza. Brussels sprouts are believed to have originated in the Mediterranean and spread to northern Europe in the fifth century. They are named after the city in Belgium, specifically a region near its capital, Brussels, and have been cultivated in Belgium since the 16th century. Today Brussels sprouts leaves are cultivated and can be found in markets throughout Europe, Asia, the United States, and in some regions of Africa and South America. Recipes that include Brussels Sprouts Leaves. One is easiest, three is harder.